Before having their baby, many women make the assumption that breastfeeding will come easily and naturally. But sometimes things don’t go to plan. Insufficient milk supply is one of the most common reasons given for women not meeting their breastfeeding goals. Breastfeeding difficulties that result in low supply can lead to a range of emotional responses. There is no right or wrong way for you to feel about your breastfeeding experience. No matter how you feel, please know: YOU ARE NOT ALONE. 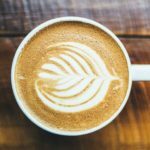 In this post I talk about some of the common emotional responses to low supply, and some strategies for making peace. 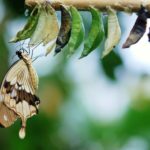 Making peace with difficult and negative emotions isn’t about dismissing or ignoring those feelings, it is about identifying, understanding, and processing them. Sometimes simply being able to accept those feelings can be a huge step in moving forward. Accepting an emotion doesn’t mean you need to like it, but acknowledge that it is valid, and you don’t need to ‘fix’ your feelings or ‘make them go away’. Some mothers feel guilty about decisions they made that may have affected their breastfeeding journey. You might feel guilty for not advocating more strongly for yourself or your baby. Or perhaps you feel guilty for following advice which turned out to be untrue or not in you best interests. It’s not uncommon for mothers to feel extremely guilty when they realise their baby hasn’t been getting enough milk – feeling like they ‘starved’ their baby. And of course, sometimes this guilt doesn’t come from within, but might be imposed upon us by others. Anger and resentment are understandable feelings when breastfeeding doesn’t happen the way you wished. You might feel anger towards health professionals or other supports who gave you inaccurate information that contributed to your difficulties. Or perhaps you might be angry about the lack of support you received – resentful that when you needed them, no one was there. Sometimes the anger may be at yourself or at your body for “letting you down”. One emotion that women can find very difficult to express is that sometimes you might even feel angry and resentful towards your baby. Particularly when breastfeeding is painful, it is easy for the baby to become seen as the source of this pain, and to develop negative feelings towards them for putting you through this. These feelings can then trigger huge amounts of shame – what kind of mother would think such horrible things about her baby? Please know that these feelings do not reflect whether or not you love your baby. If you continue to struggle with anger or agitation, particularly towards your baby or yourself, it is important for you to reach out to your health professional for help. It is not uncommon for women struggling with milk production to admit to feeling inadequate as mothers. This is where messages such as “breast is best” can be really unhelpful. Breastmilk is the biologically normal food for a baby, and is pretty darn amazing. We all want to do what is “best” for our babies. So when we aren’t able to breastfeed, we can feel like we are letting our baby down, and that they deserve better. If you view breastfeeding as a central part of your identity as a mother, not being able to breastfeed (or exclusively breastfeed) your baby can lead to feeling like you aren’t being the mother you want to be. When a mother is struggling with milk supply, her baby can often be very unsettled at the breast, or even refuse the breast all together. When you have been working so hard to breastfed, it can be heartbreaking if baby refuses to feed or seems more satisfied by the supplement than by breastmilk. Feeling rejected by your baby can have a profound effect on the way you feel about yourself as a mother and undermine your maternal confidence. Because face it; it isn’t fair that some mothers have to work so much harder than others to breastfeed their babies. You might be jealous of other mothers who appear to be having an easier time. Or you might be jealous of mothers who transition to formula feeding, without seemingly struggling with their choices as much as you are. During your struggles, you might feel like you are putting your desire to be a success at breastfeeding above the needs of your baby. You may think (or be told!) that you are being selfish for wanting to continue to breastfeed. You might receive negative feedback about the efforts that you are putting in to continuing your breastfeeding relationship or the costs involved in seeing lactation consultants, hiring breast pumps etc. One emotion you might not expect to feel in the face of breastfeeding difficulties is feeling judgmental towards other mothers. Sometimes, it can be difficult to see mothers who appear to be overflowing with milk choose to wean. It can be difficult to allow other mothers space to make their own choices without judging. Even though they might mean well, sometimes people say hurtful. Other times, people are not so well intentioned, and hurtful remarks might be outright criticisms from people who have different beliefs about infant feeding. A lack of milk, a lack of sleep and never-ending demands of a new baby can wear you down and leave you feeling unable to cope. This can often be compounded by others pressuring you to give up on breastfeeding as a way of reducing the demands on you. The research shows that breastfeeding is actually the least demanding of all feeding options in terms of maternal load, followed by formula feeding. But the mothers who shoulder the highest maternal load are those who are mixed feeding! So, if you are able to resolve your supply, chances are you will eventually make life easier. But while you are mixed feeding you will feel the additional load. And if that load becomes too much and is unlikely to lessen, you might need to consider the impact of this heightened load on your coping. Experiencing low-mood is a common experience for most mothers, and even more so if you are experiencing breastfeeding difficulties. Have people begun hinting you should wean due to your low-mood? Breastfeeding is actually a protective factor against breastfeeding, but breastfeeding difficulties, are strongly linked to increased risk of depression. Some of the medications prescribed to help increase milk supply can also have a negative effect on your mood, so this is also something you should keep in mind if you have a history of mental health concerns and are considering this medication. If your low-mood is interfering with your ability to function or care for your baby, you might be experiencing postnatal depression (PND) and should seek support from your health care professional. Anxiety also often goes hand in hand with low supply, especially if you have a baby that is “fragile” eg a premature or low weight baby. Often times the regimes put in place to try to increase milk supply can reinforce monitoring and over-thinking. It is easy to become preoccupied with milk volumes and supplements, and counting feeds and weighing baby. As with depression, if you feel your anxiety is interfering with your ability to function or care for your baby, please seek support from your health care professional. 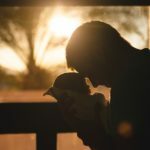 Regardless of whether you are able to resolve your breastfeeding difficulties and continue to breastfeed, or whether you make the decision to transition to formula feeding, one thing that breastfeeding difficulties often provides is a hefty dose of compassion. Knowing how difficult breastfeeding can be, can make it easier to understand why a mother would elect to not continue to breastfeed (even if that is a different decision to what you have made). Success looks different for everyone. This is not about how much milk you were able to produce or how long you were able to breastfeed. It is about the commitment you to your baby and the tremendous effort you put into pursuing that goal. Each mother must develop a feeding strategy that best meets the needs of her baby, her family and herself. Even if breastfeeding didn’t work out quite the way you may have hoped, you have set the stage to continue to make parenting choices that will help to form a solid foundation for your baby. Figure out what’s important to you… and hang on to it. Spend some time thinking about what it is about breastfeeding that matters most to you, and see if you can preserve those elements, even in the face of low supply. 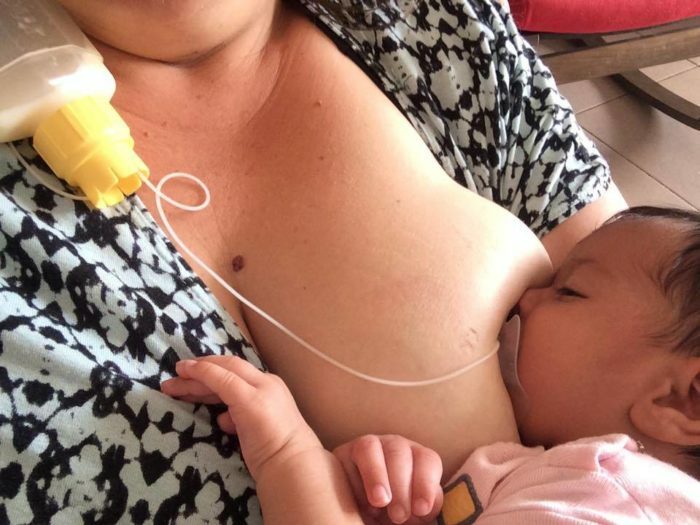 For some mothers, it might be about the experience of feeding ‘at breast’ in which case it might be useful to consider using a supply line (like in the picture in this article). For other mothers, it might be about the provision of breastmilk, in which case, sourcing donor milk might be something you consider. 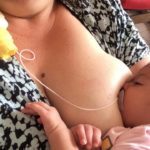 Perhaps what you love about breastfeeding is the exclusivity of being the only one who feeds your baby, and you are worried about losing that if your baby is formula fed – but you can still commit to being the only person to bottle feed your baby. If that’s what is important to you -protect it! Particularly in the early days, a day can seem like an eternity, and the thought of facing weeks, months or even years of breastfeeding can seem impossible! At times like these, it can be hard to imagine that these difficulties will ever be behind you. Rather than trying to plan for the future, instead focus just on making it through today. Some mothers even find it helpful to tell themselves, “I will just breastfeed through today. I can do it for one more day. I can wean tomorrow if I want to.” The next day, you can say the same thing: “I can make it through one more day.” Of course, you may never intend to wean the next day, but knowing that you can may be enough to give you a sense of control to make it through the day. Setting clear, simple and specific goals that you can easily achieve is a great way to have something positive to focus on. It is important that goals are focused on behaviour, rather than outcome. Maybe it is something as simple as ‘today I am going to practice using breast compressions during each feed’. And then,at the end of the day, give yourself a pat on the back. Be proud of the actions you are taking to improve your milk supply, and focus on meeting those goals rather than setting goals around milk volumes or weight gains. Try to imagine life with your baby 5, or even 10, years from now. When your baby is fussing and crying at the breast, and you don’t feel like you will ever get past this stage, try to imagine the look on his/her face when they finally master tying their own shoes, or writing their name. Imagine him/her throwing their arms around you after spending a day apart. As hard as it is to believe today, this time will pass. Remember that mothering is not about perfection or proving yourself to anyone; it is about creating relationships. Think about how much your baby is growing to love you and how much you are growing to love him/her. Mothering is not about perfection. Love fiercely. Love imperfectly. Try to find some quiet time to yourself where you can process your feelings of grief and disappointment. Let all those overwhelming feelings come to the surface. Be kind to yourself. You are completely entitled to have these feelings. You might find this easier to do at a time when you can be alone and process this in peace. Or perhaps you get more comfort from sharing these feelings with a loved one or trusted friend. Forgive yourself for anything you may regret. You made the best decisions with the information available to you at what was probably a very confusing time. Guilt assumes that you deliberately decided to do something knowing what the outcome would be. You have no reason to feel guilty. Regret happens when we learn something that we did not know at the time of our decision. It is natural and healthy to feel regret because it helps us to make better decisions in the future. If you are feeling rejected by your baby, it is important to realise these feelings are your interpretation of your baby’s feeding behaviour, not the reality of how your baby feels about you. You know your baby better than anyone else. Your baby’s love and need for you are deep. You are your baby’s mother, no matter what. Whether your baby is fully breastfed, mix-fed or formula fed, you and your baby will always share a unique and special bond. Your love for your baby is not measured in mL.